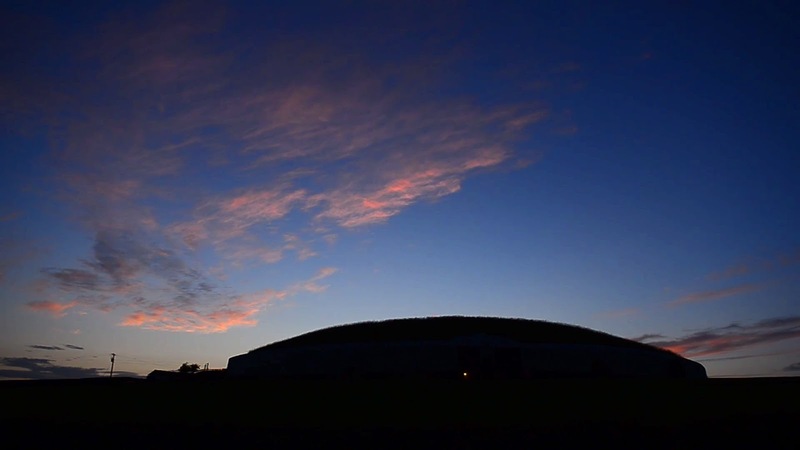 This is a short video made on Monday evening after sunset at Newgrange. It is a time lapse video, showing about six minutes of cloud movement compressed into about three. I hope you enjoy it. The sun has now passed its maximum northerly declination and so from here onward the days will be getting shorter again. However, for a couple of weeks there will still be a constant twilight glow on the northern horizon throughout the night. I love this time of year. Labels: Boyne, clouds, dusk, evening, Ireland, midsummer, monument, Newgrange, passage-tomb, red sky, summer, time lapse, valley, video, YouTube.